Product #2948 | SKU P-VS2 | 0.0 (no ratings yet) Thanks for your rating! 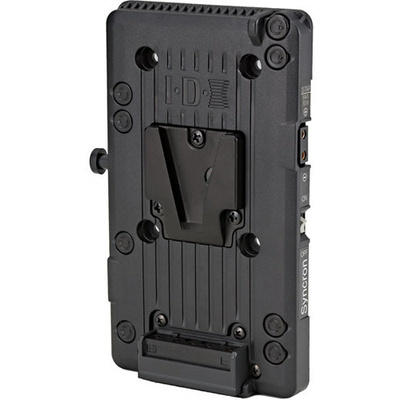 The P-VS2 V-Mount adaptor plate is an enhanced version of the P-V2 that features Syncron–turning the on-board light on and off in sync with a camera’s record button. As part of IDX’s Digi-View feature, digital battery data from the ELITE and E-HL9 can be transferred through the P-VS2 to a compatible cameras’ viewfinder. Weight: P-V2: 0.36 lbs. approx. P-VS2: 0.40 lbs approx.